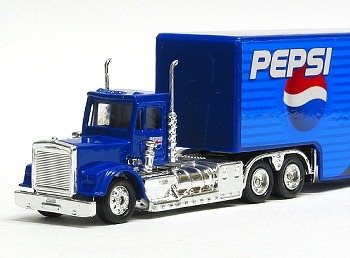 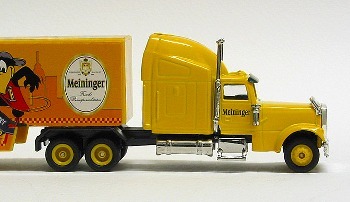 Below are listed beer trucks with American style truck tractors. 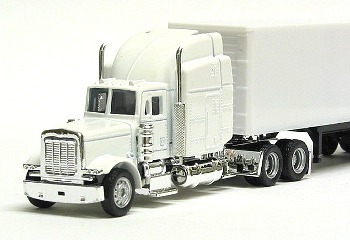 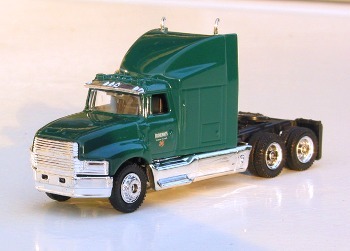 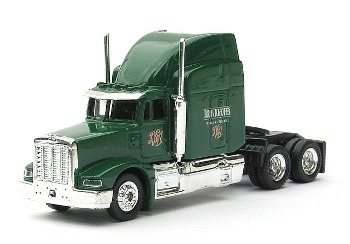 The list doesn't give a complete overview; there are more models, especially various Kenworth T600 and W900, but these are rather ugly reductions of the prototypes in scale 1:100 and I didn't add them to my collection. 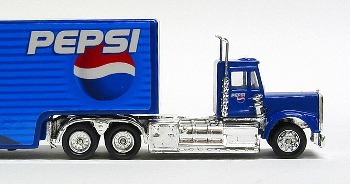 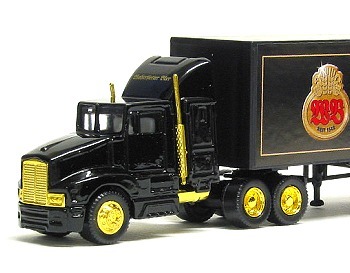 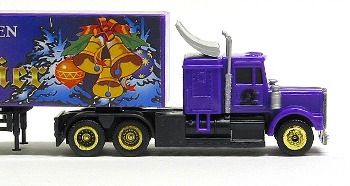 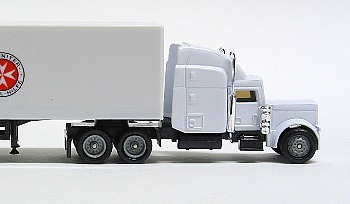 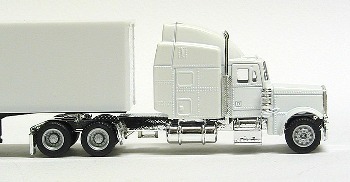 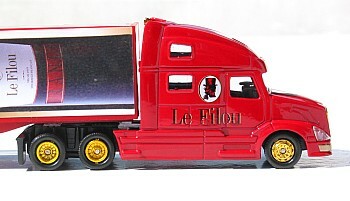 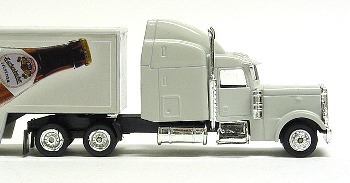 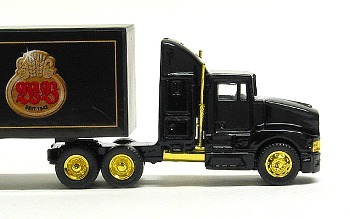 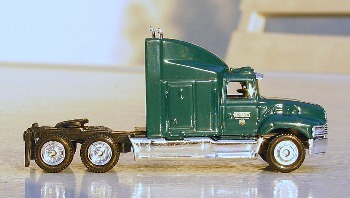 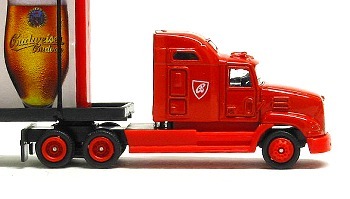 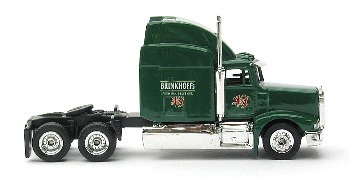 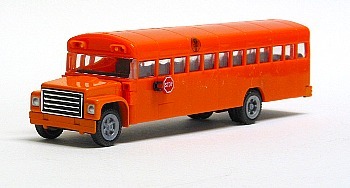 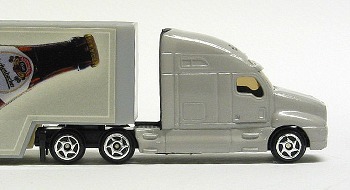 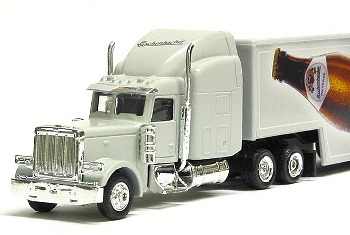 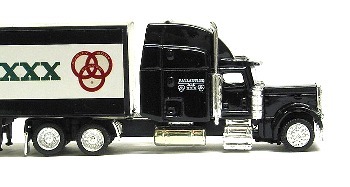 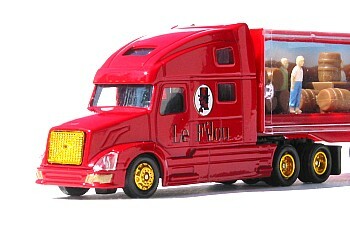 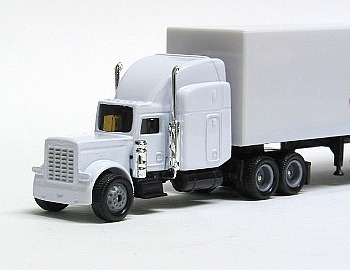 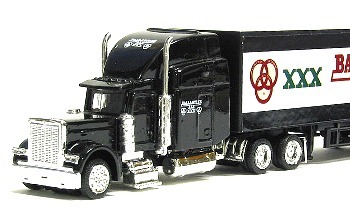 The listed models are all diecast with European style wheels and poorly detailed trailers. 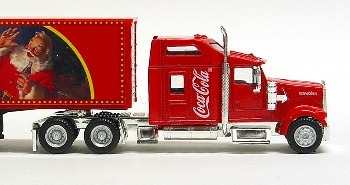 Instead of details the trailers are labelled for advertising purposes. 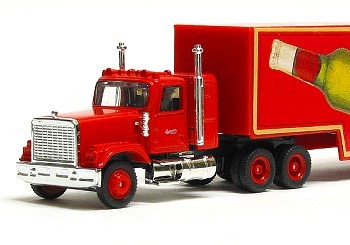 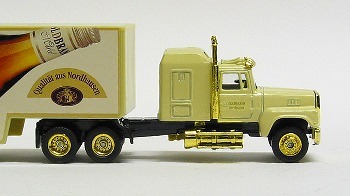 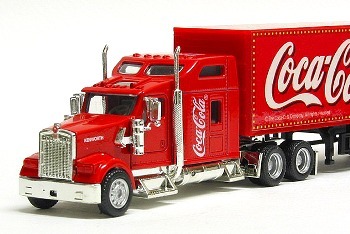 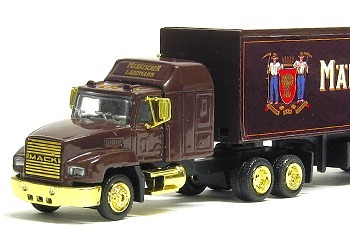 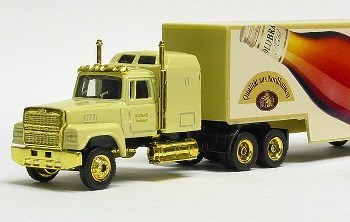 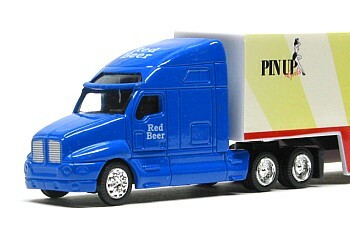 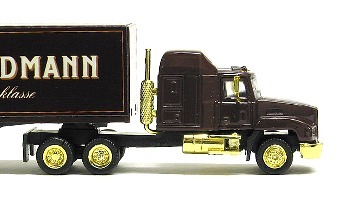 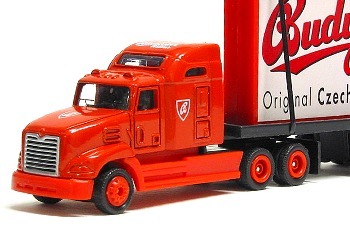 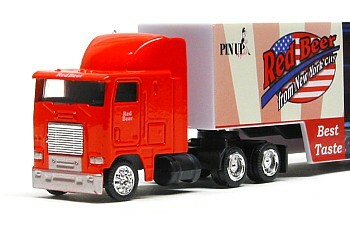 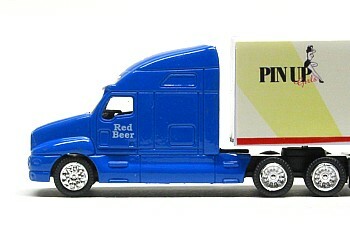 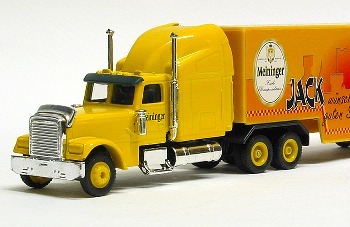 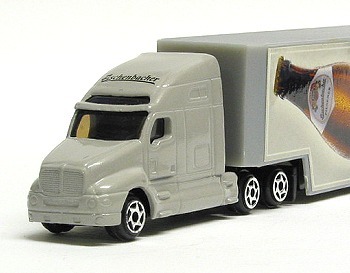 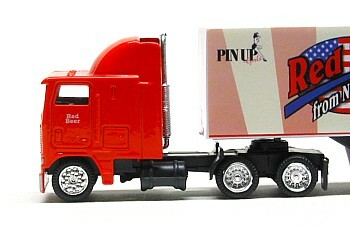 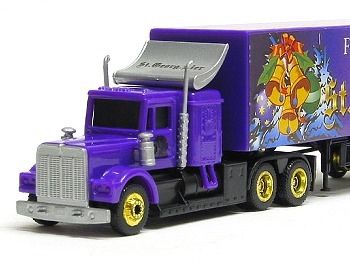 Most beer trucks exist in various colors as they are advertising for various breweries and other companies. 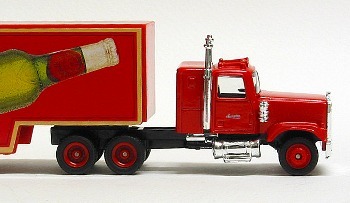 They are all made in China.